With so many cheap eats options in Melbourne, it's not hard to eat out without breaking the bank. Whether it’s lunch, dinner or drinks, you can enjoy the best of food and drink in South Wharf while still sticking to your budget. 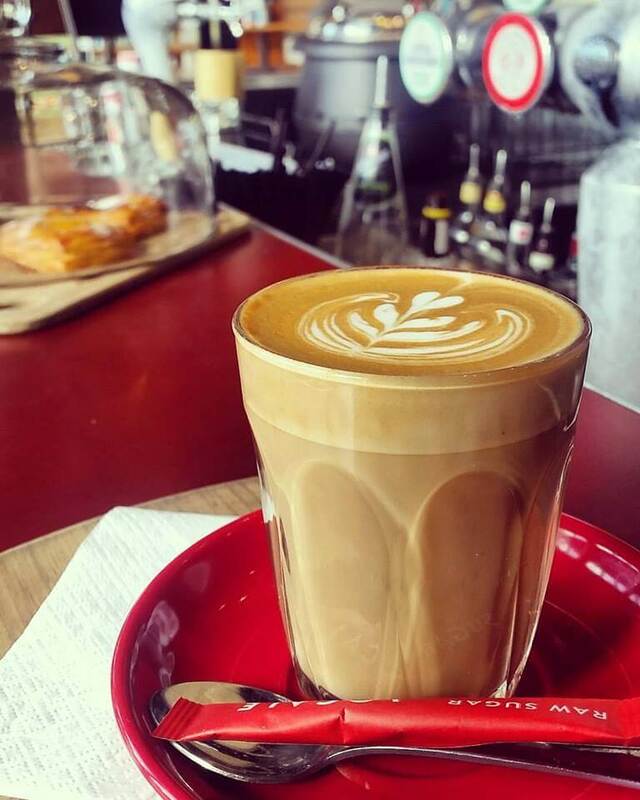 Grab your morning caffeine hit between 7.30am – 11.45am from Monday – Friday for $2.50 at The Common Man. Yes, you read that right. $2.50. For a coffee. In Melbourne. You’re welcome. From 3pm-6pm every weekday, enjoy happy hour at BangPop with $6 beers, $6 wines and $12 cocktails. The Tom Yum Siam cocktail is a must try. Enjoy a $20 express lunch (also includes a glass of wine, pot of Furphy beer or soft drink) at Meat Market between 12pm-3pm Monday – Friday. We can never decide between the delicious steak frites, snap fried calamari, wagyu beef burger or short ribs. Here’s to not spending your entire lunch break making a decision. From 12pm every Monday, pick from your choice of specially created chicken parmigianas for only $15. Think Mexican, Aussie, Hot and Original variations. Monday night is Butchers Night at Meat Market, where butchers cut specials (choose your size) are served with a glass of Shiraz. Price varies (starts at $25). Meat Market takes traditional Aussie barbeque fare and turns it up a notch. 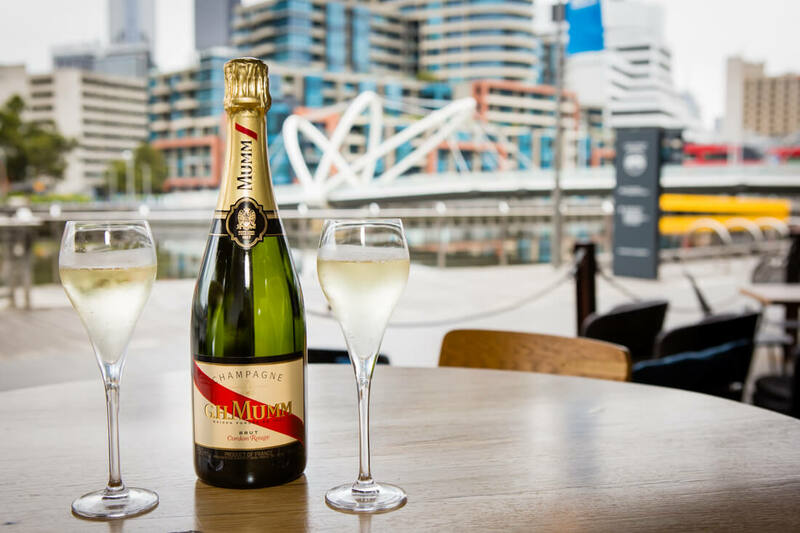 The South Wharf restaurant’s stunning open kitchen means you can get up close to the culinary action before enjoying some of the best steak in Melbourne, and the riverside seating makes it the perfect spot for some al fresco dining. A top Melbourne restaurant for carnivores, especially if you’re in the mood for dry-aged beef. It’s all you can meat, every Monday from 5pm at Munich Brauhaus. For $39 per person you can get yourself an all-you-can-eat platter filled with aaaaaallll of the Bavarian goodies. We’re talking sausages, pork belly, schnitzels and more. Wear stretchy pants. For something a little more deluxe, try Akachochin’s Monday night sharing degustation, with matched sake included with every course. At $72 per person, it’s not necessarily a cheap eat, but for a six course degustation, it’s certainly exceptional value. 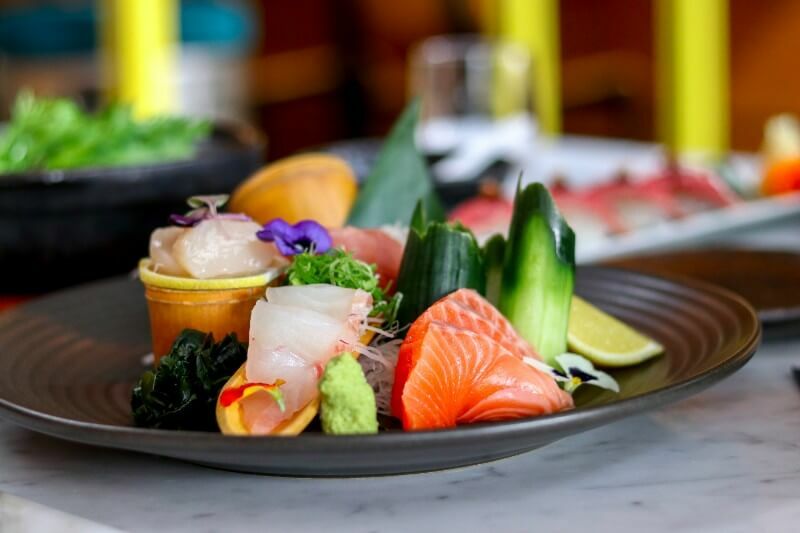 Akachochin boasts some of the best Japanese food in Melbourne and the six-course tasting menu is a truly luxurious Japanese food experience that’s perfect for dates, birthdays and celebrations – even if your celebration is that it’s just a Monday. Every Tuesday, from midday, BangPop serves up Melbourne’s best pad thai for only $9.90. It’s a generous serve and an absolute taste sensation. BangPop delivers delicious authentic Thai cuisine in its bright and playful venue. The coloured bicycles lined up outside bring a little of Bangkok’s backstreets to South Wharf. On a sunny day, BangPop’s a great choice for lunch or dinner by the Yarra River, where you can dine in the cute riverside garden area. During the cooler months, cosy up in the playful pop-inspired interior, full of Thai oddities. Mouth watering pizzas are the order of the day on Tuesdays at The Common Man from midday until late. Only $10 for a delectable pizza. Yes, you read that right again. T-E-N dollars. For just $20 you can get your hands on any one of Munich Brauhaus’ Bavarian style schnitzels, plus 300ml of craft beer. Schnit just got real. It’s $15 burger and fries from 12pm at The Common Man, every Wednesday. 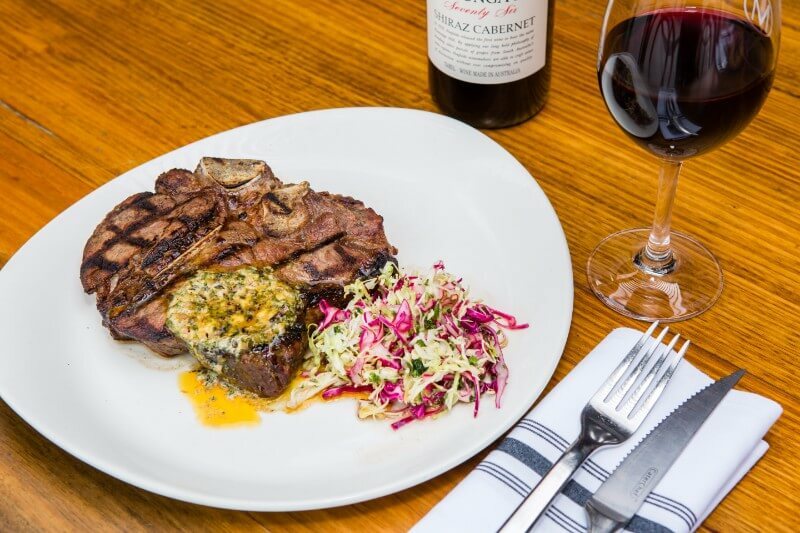 Serving satisfying rustic meals and a range of local and imported beers, Common Man epitomises Melbourne’s colourful and approachable culture. There’s a dedicated breakfast menu seven days a week, along with an all day menu that’ll impress everyone from your mum to your notoriously-difficult-but-you-love-them-anyway-bestie. Any sausage dish of your choice and a beer for only $20 on Wednesday evenings at Melbourne’s best loved Bavarian bierhaus. It’s all about the frauleins on Thursdays in South Wharf, where Munich Brauhaus offers $5 glasses of bubbles all night. Pop in for a few glasses of bubbles before hitting up The Common Man for $15 steak night. From 5pm, it’s half price bottles of champagne at Plus 5. With an extensive bubbles list – from Tasmania to France to Victoria and Spain, there really is a fizzy drop for everyone. Plus 5 takes inspiration from the food culture of Spain and Italy. Whether you’re looking to wine and dine in South Wharf’s legendary cargo halls, or want to sample the most impressive selection of freshly made cocktails on their waterfront terrace, Plus 5 is an unbeatable place to have fun and soak up the local atmosphere. There’s no shortage of cheap eats options in South Wharf – pep up any weeknight with a genuine bargain, without skimping on taste, quality or ambience.